CDM love raising money for good causes because we care. We don’t need to be asked twice to put on our red nose! 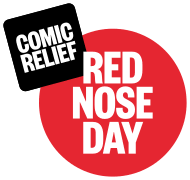 We took part in Red Nose Day on Friday 15th by holding a ‘dress down day’ and by selling LOTS of sweet and healthy treats. As a result we raised a fantastic £105.50 and proudly made our donation to the charity today.